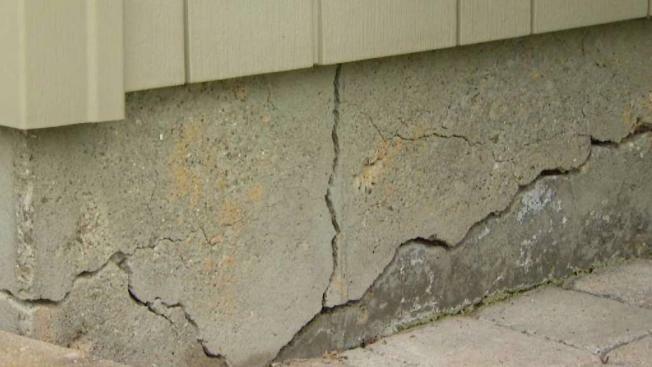 Republican and Democratic state legislators are sparring over which side's budget proposal has the best plan to help Connecticut homeowners with crumbling foundations. Democrats say their five-year plan is more detailed, with up to $161 million in grant and loan money. It covers foundations in houses and condos, and would set up something called a captive insurance company, to process claims and approve contractors. “We had the Office of Fiscal Analysis look at this. This is a truly comprehensive piece of legislation that's been vetted by everybody," Sen. Cathy Osten, a Democratic lawmaker, said. Republicans counter their plan raises more than $45 million - about the same amount the Democratic proposal does - in a two-year period instead of five. Most of the funds in the Republican plan come from grants. They would cover houses, but not condos. The Republicans propose hiring three people in the governor's office to distribute funds and vet contractors. “$40 million is a pretty robust number to get people to actually come forward, report, say they need the help. At that point, we'll know what we'll need in monies, to address the issue," Republican lawmaker Rep. Tom Delnicki said. The Democrat's plan includes receiving potentially up to $60 million in federal block grant funds. Republicans say they have been reluctant to count on that money, noting it involves red tape and may not cover everyone.